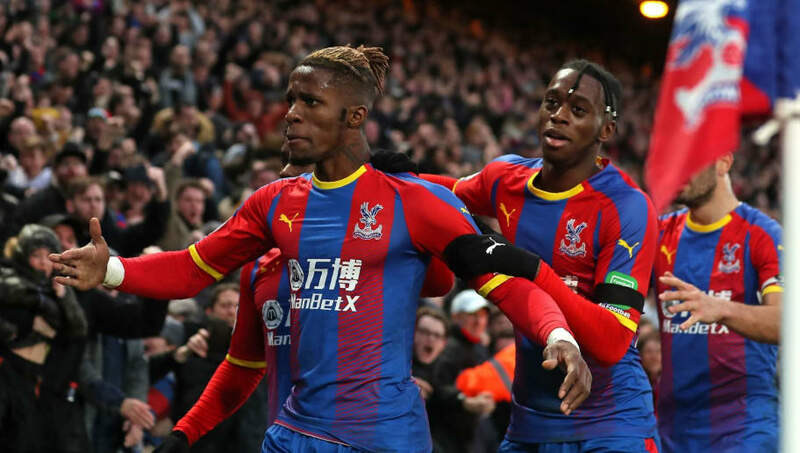 ​Bundesliga giants Bayern Munich and Borussia Dortmund are reportedly weighing up respective summer moves for Crystal Palace duo Wilfried Zaha and Aaron Wan-Bissaka. The pair have enjoyed stellar campaigns in south London with Zaha registering an impressive eight goals and two assists already, including five strikes in his last six Premier League outings. Wan-Bissaka has been a revelation ever since he graduated from the Eagles academy into the first team, with the 21-year-old showing maturity well beyond his years to now make him a trusted member of Roy Hodgson's back four. According to ​Sky Sports, ​Dortmund are keen on adding ​Zaha to their ranks as they look to move swiftly to replace the departing Christian Pulisic, who has agreed to join ​Chelsea in the summer for £57.6m. After a failed attempt to bring the Ivorian to Germany during the January transfer window, Lucien Favre appears set to reignite his interest in the coming months for the electric winger valued at a lofty £70m, and a deal is not out of the question given the funds that BVB will receive for Pulisic. Meanwhile, ​Bundesliga champions ​Bayern Munich have identified Wan-Bissaka as the ideal candidate to challenge Joshua Kimmich for a starting berth, after it was announced Rafinha will leave Bavaria in June following a nine-year spell with the club. The duo have recently committed to new long-term contracts at Selhurst Park, however, which is sure to considerably drive up both players. Zaha is contracted until 2023, whilst Wan-Bissaka recently extended his deal until the summer of 2022 after the Palace board moved swiftly to tie-down their budding star. If the transfer does come to fruition, the Eagles right-back would be the latest young English talent to make the move from the ​Premier League to Germany, following in the footsteps of duo Jadon Sancho and Reiss Nelson, who have both enjoyed impressive spells in the Bundesliga.